Apple surprised today by revealing a lot more than just Apple Watch details. 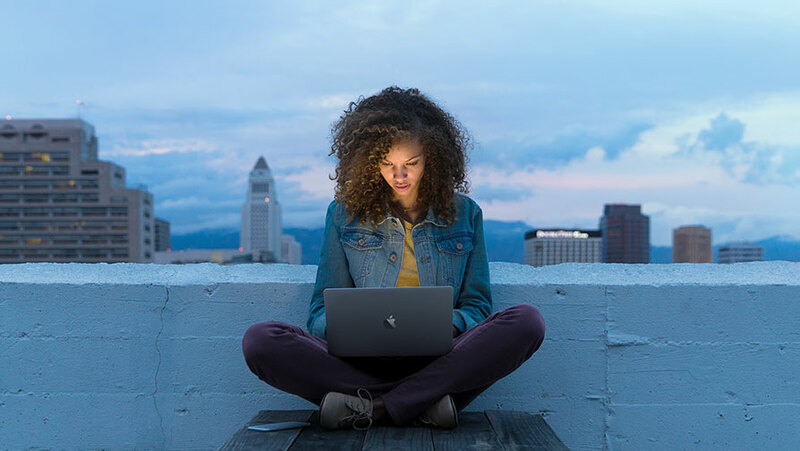 A long-rumored new MacBook was part of that surprise, bringing a reinvented MacBook that is thinner, more portable and certainly more minimalistic than the popular MacBook Air. The all-new MacBook sports a 12-inch Retina display (2304x1440) with edge to edge glass and thinner bezels. Going from the pictures, it doesn't seem like those bezels are as thin as on the new Dell XPS 13 but still make for a more svelte design that Apple claims is 24% thinner than the MacBook Air at 13.1mm and weighing in at 2 pounds. As it's often the case, Apple highlighted its success selling products, saying that while the PC market overall is stagnant, Mac sales grew 20% last year. While mentioning that portability is core in products like iPhone and iPad, the new MacBook is as closest as the company has got to the same philosophy on a full fledged PC. And it shows: the new MacBook will be available in gold, silver and gray, drawing a parallel with its other consumer-friendly iDevices. The redesigned MacBook is all-metal unibody, sporting a full sized keyboard and new trackpad technology. The keyboard has received a new typing mechanism that allows for the thin design, while decreasing wobbling. The trackpad is also new, with haptic feedback and force sensors, adding a new 'force click' option, so a deep press in the trackpad allows for different options depending on the software interface, much like a right-click does. Drawing another parallel to how iPads are built, the new MacBook is all battery inside. The logic board is tiny, even when compared to the 11" MacBook Air's, it's 67% smaller. Apple claims 9-hour battery life when web browsing, and up to 10 hours of movie playback on iTunes. As for tech specs, there will be two models of the new MacBook when it goes on sale next April 10. Both models share the same 12" Retina screen and are fanless. For $1299, you get a 1.1GHz dual-core Intel M processor, Intel HD 5300 graphics, 8GB RAM and a 256GB SSD. For $1599, you get essentially the same machine, but with a slightly faster 1.2GHz Core M CPU and a 512GB SSD. Actual performance for the MacBook remains to be seen, and reminds me when the original Air was launched and it came a bit underpowered, but was the most portable machine you could get regardless. As rumored, USB-C is the only port in the system. The reversible USB port will be used to power the new MacBook as well as provide connectivity for DisplayPort, HDMI, and VGA, assumingly with required adapters depending on your needs.